The APTO Connect team members each bring diverse skills and work/life experiences to their jobs. Each day, their goal is to proudly represent APTO Connect clients when servicing their customers. 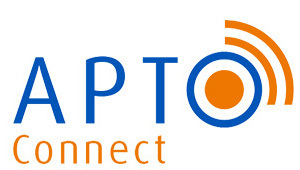 APTO Connect is an equal opportunity employer and, as we grow, will continue to look for talented, enthusiastic and innovative people. We are fully committed to supporting a team atmosphere with open communication and peer support. Upon hiring, APTO Connect offers extensive training and coaching, and encourages both personal and professional continuing self-development. For current job opportunities, contact us. Join the APTO team and connect with all kinds of interesting clients – from well-known large corporations and small start-up companies to dynamic not-for-profits and high-profile public sector organizations.